Let's take a moment to enjoy this hand colored map drawn by Lieutenant John Le Breton of the Royal Newfoundland Regiment. Many people who live in northern Ohio, southeast Michigan or southwestern Ontario might see their neighborhoods encompassed here. Unusually, the western end of the map is up. Lt. Le Breton served on the British staff throughout the 1813 campaign; he was an assistant engineer with General Henry Procter at the Siege of Fort Meigs, and participated in the fight to recapture the British batteries on May 5, 1813. An aggressive officer whose ambition outreached his achievements, Le Breton nevertheless participated with distinction in nine actions during the War of 1812. In October 1813 he was sent to Detroit under truce by Major-General HenryProcter* to request the humane treatment of prisoners taken by the Americans at Moraviantown and the restoration of their private property. Secretly he was to assess the Americans’ strength at Detroit and on Lake Erie. In December Commodore Sir James Lucas Yeo* described him as a “very clear headed intelligent Officer.” Le Breton returned to the quartermaster general’s department in February 1814 and remained with it until mid 1815. 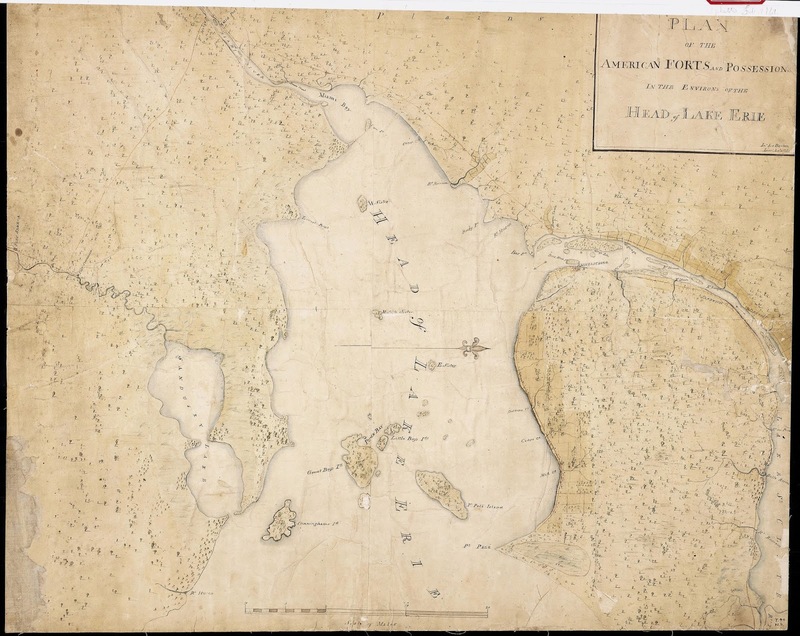 During that period he pressed unsuccessfully for authorization to raise and command an Upper Canadian “Corps of Rangers.” He was severely wounded and disabled at Lundy’s Lane in July 1814. Between July 1815 and April 1816 he was on leave in England and in the Canadas. Promoted captain in the 60th Foot in March 1816, he went on half pay later that month. Modern Quartermasters departments are mainly concerned with equipping and supplying armies. In the 1812 era, a Quartermaster might as well be in charge of intelligence gathering, scouting, and engineering tasks.